Project^ Office is a renovation of a bow truss building from 1951 into the headquarters of the real estate development firm project^. The office project included gutting the building’s aged interior walls and removal of rundown cladding to reveal the beauty of a raw industrial concrete and wood structure. A fresh white interior complements new black windows to create a gallery feel with clean modern lines. 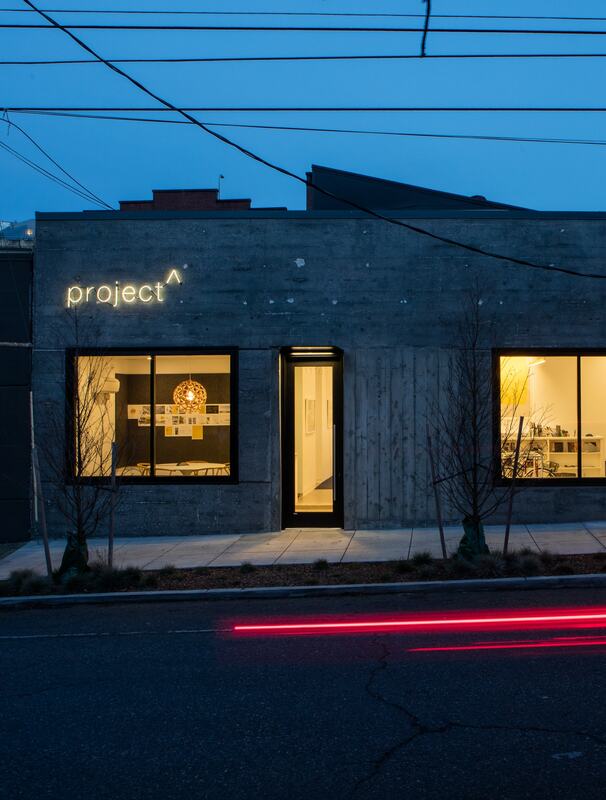 Employees of project^ connect to the lively streetscape of Slabtown and have access to light and wind through an operable garage door and clear story windows. A simple white neon sign complement the office’s modern industrial aesthetic and draws visitors into the space.